25-year-old throat-singer Bady-Dorzhu, Alash ensemble musician, has been recognised the best khoomey-singer in the khoomey contest which took place in Tuva within the framework of the 5th International Khoomey Symposium. Over 100 singers and ensembles took place in it. Bady Dorzhu was presented with a car. Chirgilchin group was defined the best in ensemble contest. $1000 prize-money went to the group. Last preparations for the Fifth international Symposium “Khoomei – Cultural Phenomenon of the Peoples of Central Asia' are taking place in Tuva. 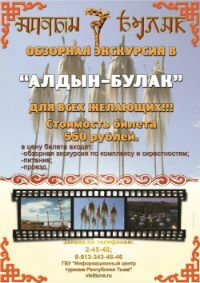 The symposium from July 24-28 will be attended by performers of throat singing, scientists from Mongolia, Bashkortostan, Kyrgyzstan, Altai, Khakassia, Buryatia, Kalmykia, Yakutia, Moscow, Novosibirsk, Japan, USA, France, Holland, Austria, and Denmark. The symposium is being held by the Ministry of Culture and Informational Politics of the Republic of Tuva and the International Scientific Center “Khoomei” as a part of the Year of Khoomei. The Symposium program includes: Scientific conference, international competition of Khoomei and overtone singing performers, master classes in all styles of Tuvan Khoomei, Exhibition and sale of Tuvan national instruments and crafts of Tuvan arts masters, display and sale of Tuvan national dress and designs of local fashion designers, sightseeing, organization of round-table discussions on the problems of Khoomei, ceremonial preparation of traditional Tuvan dishes, cultural programs. 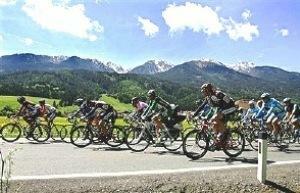 Today, July 8, the bicycle race “Kriterium” will take place in Kyzyl at 11:00 in Lenin Street. The bicyclists participating in the race “The Sayan Ring” are now in Tuva. They were met by the leaders of the Tuvan department of the “One Russia” party. Among those meeting the bicyclists, there were also heads of the departments of the localities through which the race will be routed. – Kyzyl, Ulug-Khem, Chaa-Khol, Dzun-Khem, Ak-Dovurak. 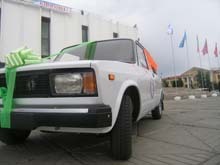 This is the first time that an athlete from Tuva is actually participating in the race. It is the 38-year-old Alexandr Nemkin.